Not all websites are created equal. And although many may look similar at a glance, there are a few things that ultra successful websites do that their less successful competitors don’t. In this article we cover 5 of the main traits that successful website have in common. 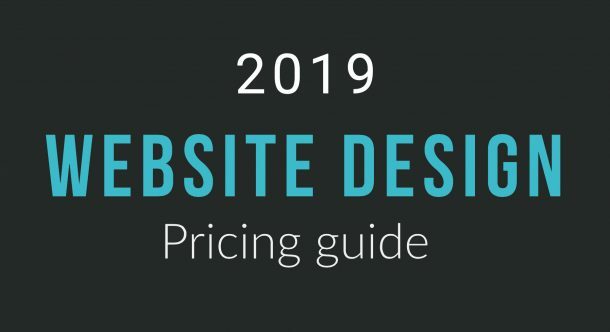 If you take a look at some of the most beautifully designed and well-trafficked websites on the web you’ll notice some common traits when it comes to their design. Well-designed websites tend to have less going on. They tend to have simple, clean design. So what does that actually mean? Too many fonts and random font sizes can make a website look cluttered and confusing, you want your visitors to easily identify headings from body text and important links and elements. Successful websites have quite a specific colour pallet consisting of no more than 3-4 colours which enables the site to flow nicely. Well organised content allows readers to scan and find the information they’re looking for quickly and easily. Amateur looking websites tend to have more fonts, more sizes, more colours and a more disruptive layout than a professionally designed website. A website designed for conversion takes visitors down a clear path to success (like a slippery dip). It then identifies the needs of the visitor and gives them a clear next step for them to take. Some websites that fail to convert are muddled. They lack clarity and focus and confuse visitors rather than help them. We call this “bricks on the slippery dip” in other words, obstacles that hinder the process of the sales funnel. In 2016, mobile internet usage surpassed desktop internet usage, which means more people are now looking online on their phones than they are on their computers. Designing for mobile transcends just adjusting the CSS of your site so it looks good on mobile, it also involves adjusting your website’s design and layout to the needs of the mobile user. Traditionally this involved, shorter attention spans, need to find details quickly and the need to be able to read and navigate your menu differently. Your website can be compared to service at a restaurant. If it’s good you barely notice it’s there, if it’s great, you walk away with a fantastic feeling. If it’s bad, you’re constantly waiting for your meal, the service is slow, your orders get mixed up, it’s like when your site takes a long time to load, the user can’t find what they’re looking for and the waiter keeps dropping the cutlery – very annoying! In fact, load time is such a crucial aspect of user experience that Google factors in website load time as part of its search ranking algorithms. 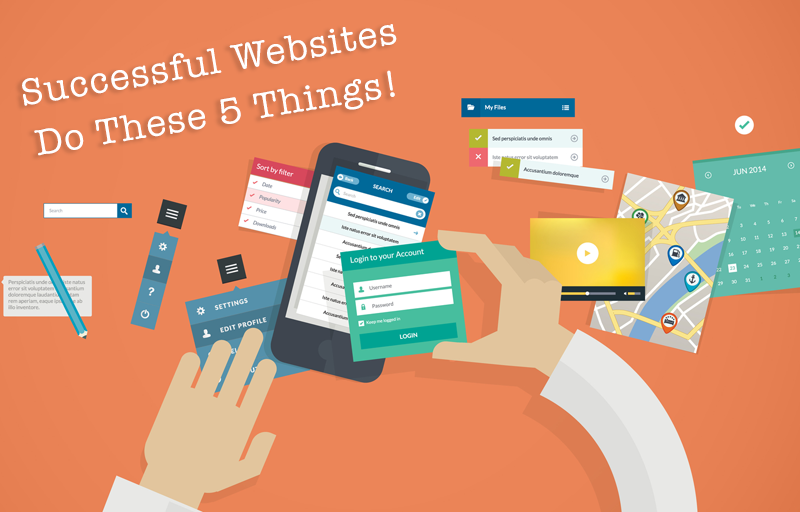 So there you have it, five things that successful websites have in common. There are of course many more elements that can make a website even more successful – we have a checklist of around 11 crucial elements we use in each of your websites, and while none of these elements on their own is groundbreaking, it’s the combination of all of them together that results in success. Want to see how we can implement these design fundamentals into your next website design? Contact us today and we’ll provide you with all the areas of your website that need improving, free of charge!